Walmart offers the Hisense 55" 4K Roku Smart TV for $248. 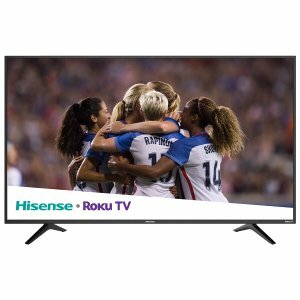 Features: Movies, TV shows, Sports, Games, Music and Broadcast TV the content options are ENDLESS with the R6E Series 4K UHD Hisense Roku TV. Featuring 4K Ultra High Definition resolution that has more pixels than HD, this TV packs incredible detail into an HDR-enhanced display that boosts contrast in the lightest and darkest areas of the screen.